Libby Znaimer hosts a round table on tensions between Canada and China surrounding ongoing human rights violations and the Huawei affair. Check out the photo highlights from yesterday's special session with Israeli Consul General Galt Baram, CIJA CEO Shimon Fogel, and One Free World International's Rev. Majed El Shafie. Canada welcomed Rahaf to Toronto over the weekend following a harrowing journey to escape Saudi Arabia. OFWI’s Majed El Shafie with a tweet-thread this morning about what’s next for Rahaf and considerations for her future. A Christmas miracle for Neeha and her family! At this Christmas season, we would like to rejoice with you in some wonderful news. After three years of much hard work on behalf of little Neeha, we are thrilled to be able to report that One Free World International has finally succeeded in bringing her and her family to safety in Canada. As we have reported several times before, Neeha was only two and a half years old when the son of her father’s employer brutally raped her and left her at the side of the road to die. These horrific events took place simply because her father, who was Christian, refused to give in to pressure from his Muslim employer to convert to Islam. Since then the family has lived for several years in hiding and in the constant fear of being discovered by the employer’s family or Islamic extremists. On his latest visit to Pakistan, Rev. El Shafie succeeded in the extremely dangerous mission of bringing the family to Canada and Minister of Citizenship and Immigration Jason Kenney has granted them a special ministerial permit. Immigration lawyer and OFWI partner Chantal Desloges worked tirelessly on this case and was instrumental in ensuring that all the paperwork was properly completed and Pastor Steven Long and Toronto Airport Christian Fellowship provided invaluable support and assistance in this matter. As a result, for the first time ever, Neeha and her family are finally able to freely celebrate Christmas in peace and without fear. As you celebrate Christmas this year, we hope that you will rejoice with Neeha and her family and in the part that you played in this wonderful Christmas blessing. Rev. El Shafie put his life on the line to rescue the family, but without your continued prayers and support for him and for our ministry this miracle would not have been possible. Finally, we hope that at this season of celebration and reflection you would remember all the Christians in Pakistan and in so many other countries around the world who have no alternative but to celebrate Christmas in the midst of persecution and fear. Pray for them and thank God that as long as people have the courage to stand up for their beliefs, regardless of the consequences, hope and faith will endure and keep alive the dream that one day there will be peace on earth and goodwill to men. • that all Pakistanis, regardless of their religion or beliefs, would be able to live and worship in freedom and equality and that the people of Pakistan would experience true peace and harmony that can only come from the Prince of Peace. • to Minister Kenney, thanking him for his invaluable gift to Neeha and her family and wishing him a special Christmas blessing. We at One Free World International would like to wish you a very Merry Christmas and a Happy New Year and to our Jewish friends a Happy Hanukkah! As we look forward to our continued cooperation in 2009, we would like to share with you some of the things we have been able to accomplish thanks to your prayers and support through this eventful year. As you are aware, religious persecution is a serious and growing problem in the world today. Yet due to the nature of our work and the dangers facing those we are helping, we are only able to share with you some of the cases we work on. You may remember Magdi, a Coptic Christian refugee whom we were able to rescue in 2007 from Egypt where he was tortured after being deported by Canadian authorities. Although we were able to bring most of his family with him, his daughter had to remain behind with her husband and child. In the summer of 2008, however, Egyptian authorities began to punish Magdi by harassing his daughter and then severely torturing his son-in-law. In a highly sensitive and top-secret operation we were able to rescue the family and reunite them with Magdi in safety here in Canada. An event we organized in support of Ola, a Nigerian woman who had been living in sanctuary in a Mississauga church for two years hoping to avoid deportation and separation from her Canadian daughter, turned into a celebration when events took an unexpected turn. Ola was arrested but after discussions with border authorities her deportation was postponed. As a result Ola is able, subject to certain conditions, to live at home with her daughter until immigration officials can make a decision in her case. You may also recall the case of Rania, a young Saudi woman who was killed by her own father when he discovered her secret conversion to Christianity. Many of you wrote letters to the Saudi government making it clear that this was unacceptable and demanding that appropriate action be taken to bring the father to justice. Rev. 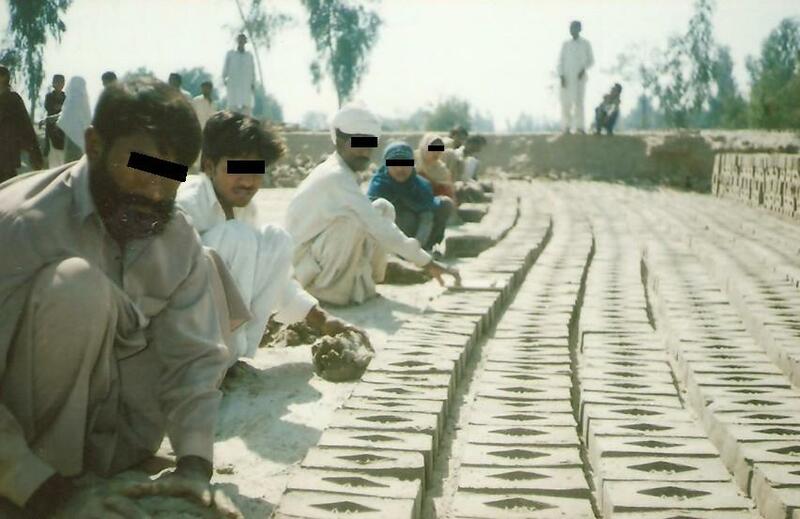 El Shafie made a second a trip to Pakistan, where he was shown labour camps where poor Christians and other religious minorities and their families are forced to live and work essentially as slaves in appalling conditions. Behind Enemy Lines, a one-hour documentary on the persecution of Christians, will include footage from Rev. El Shafie’s travels to Afghanistan, Pakistan, and elsewhere and continues to be a significant part of our work throughout 2009. In the spring, Rev. El Shafie was invited for a second time to present evidence before the Human Rights Sub-Committee of the Canadian House of Commons. The Committee members were challenged to take a closer look at religious persecution in Iraq, Egypt, and Pakistan, as well as elsewhere, as a result of the testimony presented by Rev. El Shafie and some of OFWI’s friends and partners. In particular, Rev. El Shafie shared never before seen evidence that he was able to obtain from the slave camps in Pakistan. The 2008 Olympic Games were in Beijing and OFWI took the opportunity to encourage our members to boycott Chinese goods until China shows significant and lasting improvements in its human rights record. Many of you took up the challenge and are doing what you can to avoid purchasing goods made in China in order to avoid supporting an economy and atheistic system which oppresses its own citizens for their religious beliefs, including by putting religious prisoners to forced labour and “re-education” programs. In addition to monitoring what happens around the world, we must also be vigilant on behalf of our own country. In early December Rev. El Shafie was asked to speak at a rally on Parliament Hill in the face of a parliamentary crisis in Canada. We were pleased to see many of our friends and members, some driving from as far away as Toronto for the day, brave the bitter cold on “the Hill” to stand up for righteousness in our halls of government. Our annual conferences took place in Winnipeg (“The Road to Victory”) and Toronto (“The Horizon of Hope”). We paid tribute once again to Canadian soldiers in Afghanistan of whom over 100 have now given the ultimate sacrifice on behalf of peace and freedom for the Afghan people. Our speakers included Members of Parliament Joy Smith (in Winnipeg) and Jim Abbott and David Sweet (in Toronto), as well as Faytene Kryskow of The Cry, Willard Thiessen, and Pastor Bruce Martin, and of course our very own Rev. El Shafie. We would like to thank everyone who participated in our conferences, from the worship leaders with their teams to all of our speakers and contributors. We would also like to extend our special thanks to our partners, Willard Thiessen and New Day Ministries in Winnipeg and Pastor Steve Long and Toronto Airport Christian Fellowship in Toronto, for their generous support and cooperation in making this year’s conferences a great success. The OFWI family would like to thank you for being partners in our work in 2008. Without your active participation, prayers, and support none of this would have been possible. We unde rtake our work by faith, knowing that it is the call of the Lord and that it must be done, making great sacrifices and trusting that He will provide. Our conferences, travels, advocacy, and rescue missions require tremendous resources and are only possible because of your generous support. Please prayerfully consider making a special year-end donation to OFWI or committing to support our work on a monthly basis in the coming year (the address for your donation is included below). Finally, to all of our friends and partners we wish the richest blessings in 2009. As we look forward to the New Year and all the challenges that lie ahead, we trust that you will continue to support our work, both in prayer and financially, and to take action on behalf of the persecuted church. Remember, that the persecuted Christians are dying every day, but they are still smiling. They are in a very deep dark night, but they have the candle of the Lord. The enemy can have a very strong weapon and a very strong army, but we have the Lord Almighty. We would like to thank you for your terrific response to our China alert and to encourage you to stay committed to boycotting Chinese products particularly as the Olympics end and the world’s attention turns away from China. We know from personal experience what a challenge avoiding products made in China will be, but a great challenge holds an even greater opportunity. This small inconvenience will generate numerous occasions for discussion with friends and family about what is happening to Christians and other minorities in China and, after all, spreading the word is one of our best weapons. In the meantime, we would like to bring to your attention a recent case from Saudi Arabia. In the beginning of August a young Saudi woman who had apparently learned about Christianity on the internet and secretly converted was killed by her father after a heated debate about religion. The woman had contributed to internet discussions about Christianity under various nicknames including “Rania” and her family had become suspicious when her brother discovered some of her postings and a cross on her computer. A few days before her murder, “Rania” had indicated in one of her internet postings that her life had become unbearable after her brother’s discovery. “Rania’s” father is a member of Saudi Arabia’s so-called “religious police”, officially known as the Commission for the Promotion of Virtue and Against Vice, charged with ensuring compliance with Saudi Arabia’s strict Wahhabi brand of Islam. He had reportedly cut off his daughter’s tongue before burning her to death. News reports indicate that he was later in custody being investigated for “honour killing”, a charge which generally results in a sentence of six months to three years in jail, rather than murder. According to OFWI sources, however, the father has been released and has effectively been assured that he will be cleared of all charges and granted a promotion. As we have mentioned in an earlier alert, Saudi Arabia is an important western ally in the war on terror. Despite some recent and very public international gestures by the Saudi king in the name of inter-religious dialogue, the kingdom’s Islamic Shari’ah-based legal system is one of the most repressive in the world. All public non-Islamic religious practice is prohibited in the kingdom and even private observance among foreigners is severely restricted. The number of Saudi Christians living in the kingdom is impossible to determine. Any conversions take place in utmost secrecy as apostasy, or the act of leaving Islam, carries the official death penalty. As in “Rania’s” case, however, family members of the apostate will often seek to reclaim the family’s honour by killing the convert themselves. • that news about this incident would spread like wildfire through the Saudi kingdom. Pray that the Saudi people would be inspired by “Rania’s” curiosity and courage to begin questioning a belief system that permits and even encourages such barbaric acts and that they would discover truth, love, and mercy so that “Rania’s” death would not be in vain. • to Foreign Affairs Minister David Emerson or Secretary of State Condoleezza Rice, insisting that they take a strong stand with their ally and do not let larger political issues get in the way of truth and justice on behalf of “Rania” and religious freedom and human rights for all other converts in Saudi Arabia.